7.62x39 122 Grain Non Corrosive Lead Core Ball Berdan Primed. 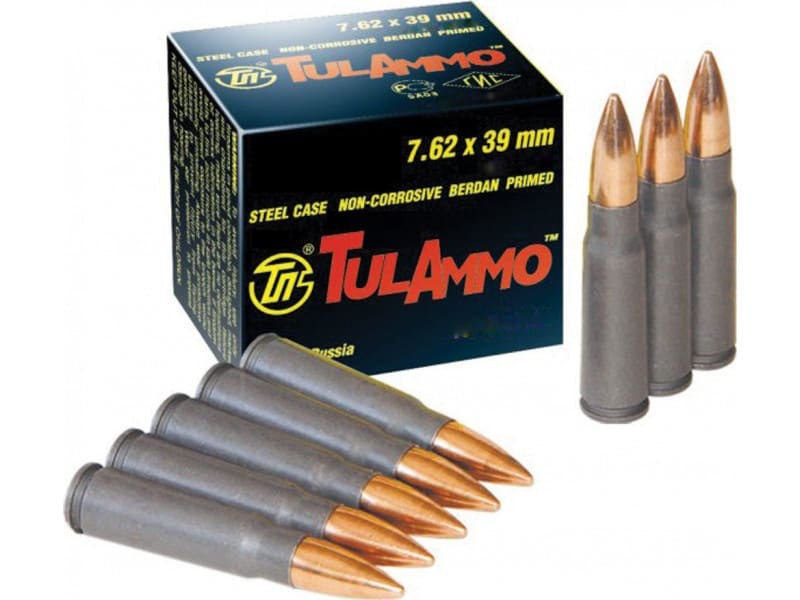 If you are a high volume shooter, this is the ammo for you. 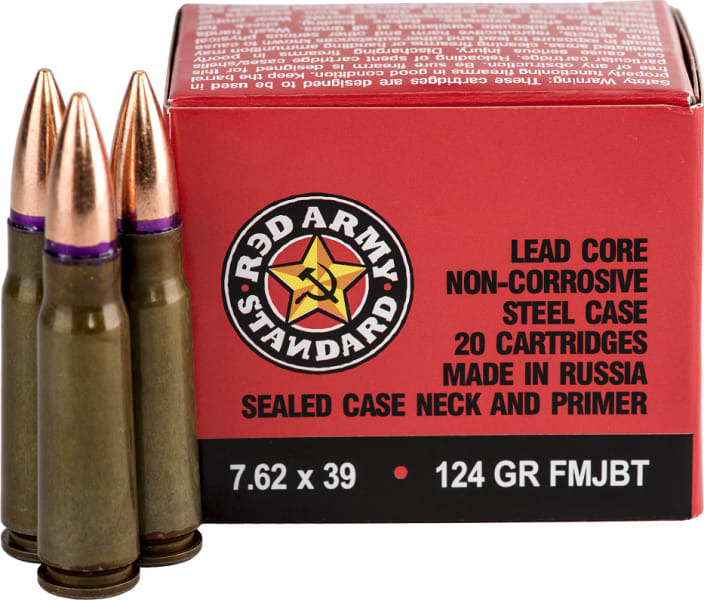 This cartridge uses a non-corrosive Berdan primer and bullets with a lead core and full bimetal jacket. The steel case is bottled-shaped with non-projecting flange and a phosphate polymer coating.Original high quality Russian ammunition produced by a name you can trust. 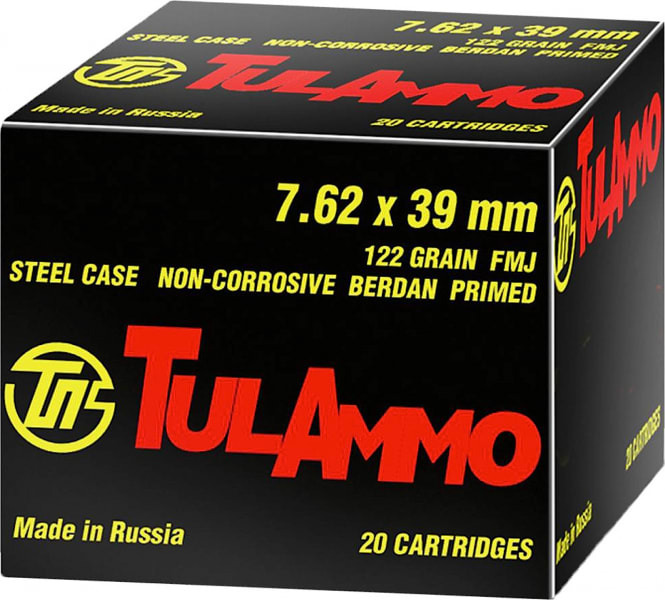 This ammunition comes packaged 40 rounds to a commercial box with 25 boxes per 1000 round case. 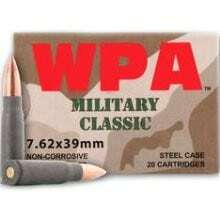 We sell it by the box with a price break at the 25 box ( full case ) qty. 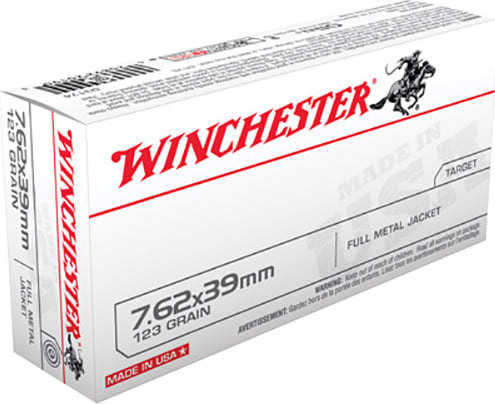 Buy it by the 25 box case qty and save $$$. Possibly the most affordable ammunition on the market from a name you can trust. 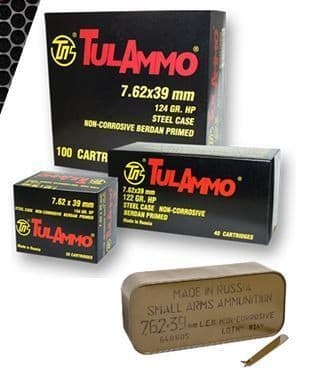 With millions of rounds sold and fired Tula ammo has thousands of satisfied shooters in it's customer base. 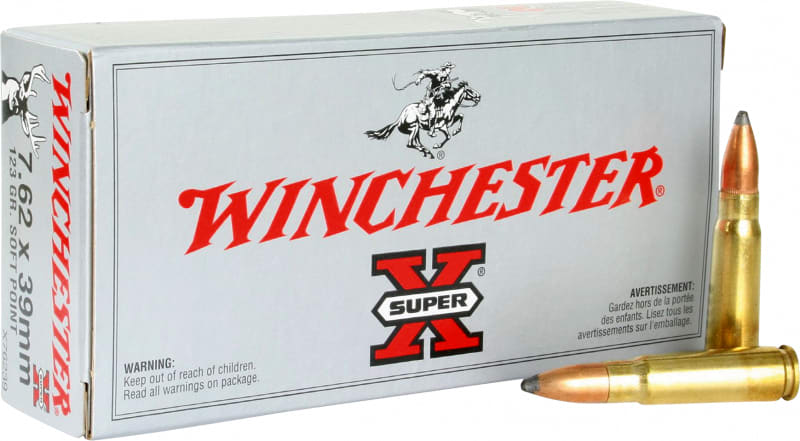 Reliable, Accurate and Sure Fire round after round. 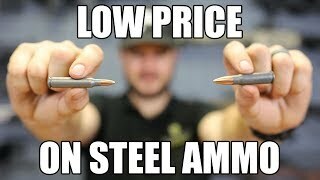 If you are a high volume shooter, this is the ammo for you. 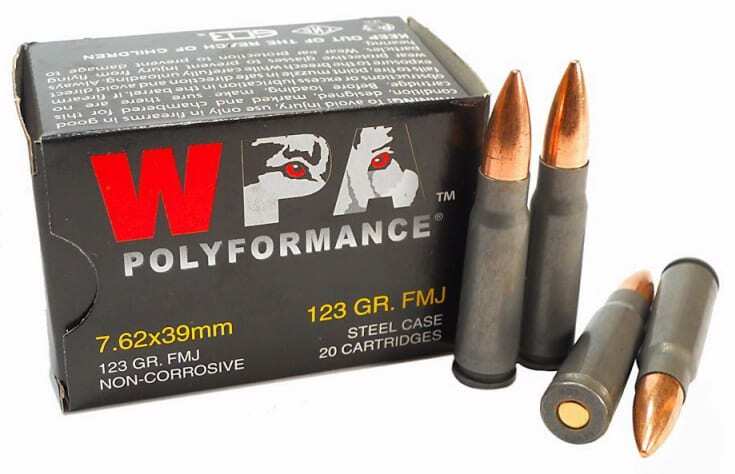 This cartridge uses a non-corrosive Berdan primer and bullets with a lead core and full bimetal jacket. The steel case is bottled-shaped with non-projecting flange and a phosphate polymer coating. 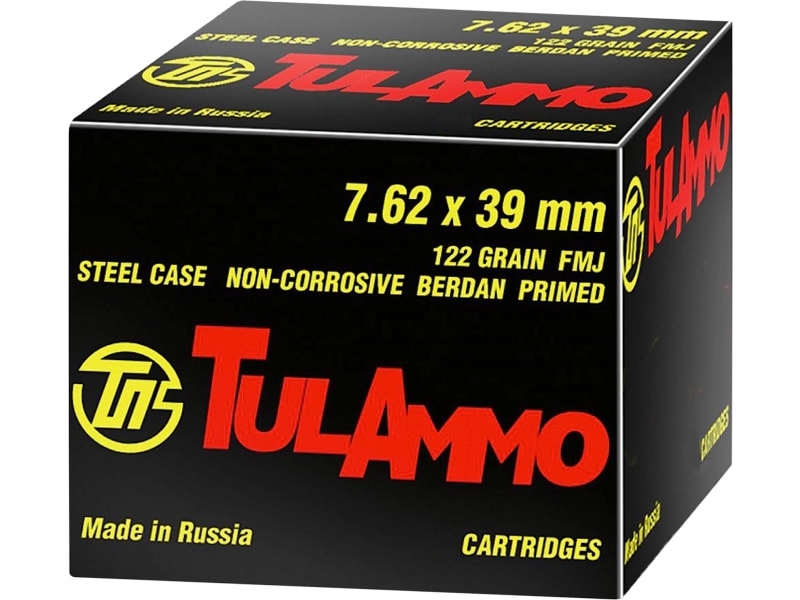 Original high quality Russian ammunition produced by a name you can trust.